A look at my Last.Fm profile would reveal Bonnie 'Prince' Billy at the top of my most played artists. Granted, compared to many music fans like me, the number of plays is not anything to write home about, but he's still at the top. I have a certain obsession with Oldham's voice. I don't know what it is, it's not great, but it is still the best. I have an affinity for his beard, for his lyrics, for his acting in Old Joy. 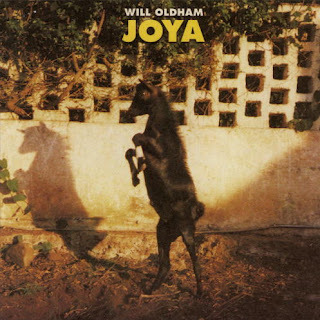 Joya is an album where Will Oldham is...himself. Under his actual name, not the Palace or Bonnie moniker. The album isn't vastly different from his other recorded work, but it still retains the quality that we come to expect with an Oldham release. As a reference point, I would say the album that sounds most similar to this record is 2005's Superwolf record with Matt Sweeney, primarily because the guitar work on this album. These aren't acoustic-in-an-unlit-room songs. These are plugged-in-but-playing-in-the-backyard-at-night songs. It's beautiful stuff, and is as essential as just about every other Oldham release, which is to say that it's very essential.